Opposition leader Adrian Delia has asked the police to investigate documents containing his signature which he says were forged. In a press conference held on Saturday evening, Dr Delia said that forged documents concerned alleged activity of his dating to around 15 years ago. He did not describe the documents in further detail, although in a letter sent to police commissioner Lawrence Cutajar and seen by Times of Malta, Dr Delia said that the documents "were used to conduct financial transactions". Dr Delia told the press that the documents had been brought to his attention at around the same time The Sunday Times of Malta had sent him questions related to claims that the Financial Intelligence Analysis Unit had investigated him. The Sunday Times of Malta has reported that the FIAU had opened an investigation into suspected money laundering breaches by Dr Delia, in relation to work he did as a lawyer back in the early 2000s. Dr Delia has vehemently denied the allegations, insisted he knew nothing of that investigation and called on the police commissioner to question him. In his letter to the police commissioner, Dr Delia asked commissioner Cutajar to tell him whether he had a copy of the alleged FIAU report. I requested a police investigation into documents bearing false signatures under my name. Determined to find the truth. Justice will prevail. "It is being alleged that this report was handed to the police one year ago, in May 2018," he wrote. "But as you know, I was never asked for an explanation or declaration". "In light of these allegations, I ask that you investigate any ties between the falsified documents I am enclosing and the allegations in questions sent to me yesterday [by The Sunday Times of Malta]." Dr Delia questioned the timing of the questions, saying they had come "just a few hours" after he had accused the government of seizing control of key institutions, including the police force. He reiterated that he had never been involved in any money laundering activity and had always acted in good faith as a lawyer. “It is clear that someone wants to intimidate me and my family,” he told the press. The Labour Party said it had taken Dr Delia almost a year and half since allegations linking him to money laundering had been published. Those claims had been brought to light by Daphne Caruana Galizia, who ran a series of articles about Dr Delia linking him to a racket based in London's Soho district. 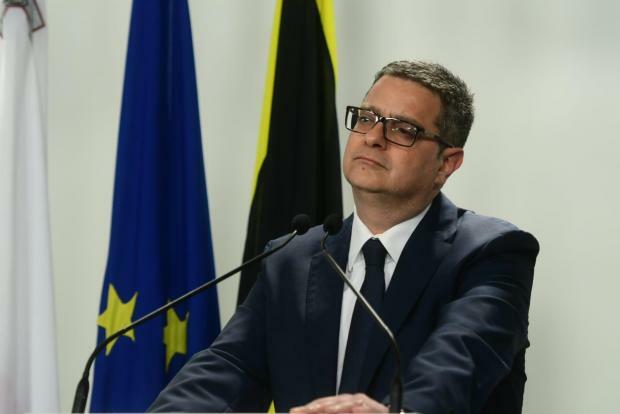 "Had Adrian Delia called for an investigation into himself when many were calling for one, we might have known the truth by now," the Labour Party said on Saturday. "For months, he based his political arguments on leaked FIAU documents and newspaper articles," the PL continued. "Now he is asking the police commissioner to investigate the same sources of information which he used to his advantage and to call for resignations".